Expats who are planning to purchase property in Argentina will find that there are a number of procedures to go through, including price negotiation. 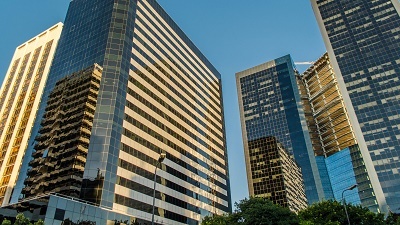 In order to buy real estate in Argentina you will be required to have different types of individual tax numbers, more specifically a CUIL (Clave único de Identificación Laboral), CUIT (Clave único de Identificación Tributarial) or CDI (Clave De Identificación) number. You can procure a CDI yourself or through a lawyer. To find land for sale in Argentina, look up the national media or contact a realtor. The country offers a wide variety of land and there are several real estate agencies which specialize in rural land only. Purchase of land in coastal strips and near borders requires permission from the appropriate authorities and price of land depends on its usage and location. When looking for real estate to purchase, it is best to visit real estate websites which can help you select the property that suits your budget and ideal location. Some real estate websites to visit include En Buenos Aires and Argentina World Estate. While making an offer on a property you will be required to extend a security deposit called Reserva de Compra which will be held by the realtor. If the seller accepts your offer then a down payment of 30% of the total amount must be made. This amount is non-refundable if the buyer backs out but is refundable in full if the seller backs out. The norm as far as down payment is concerned is 30% of the total amount but can be negotiated. In addition, all costs incurred before signing the final papers are normally paid by the seller and all costs incurred thereafter such as transfer of names on the document of title and commission payable to the notary public must be paid by the buyer. You must ask to see two documents before you sign the sales contract (boleto de compra-venta); the Informe de dominio and the Informe de Inhibiciones which can be solicited from the Registro de la Propiedad Inmueble (estate ownership register). The Informe de dominio will state the exact dimensions of the property, name of the actual owner and details of any unpaid mortgages. Check to see if the dimensions mentioned in the sales contract and this document are exactly the same. The Informe de Inhibiciones states whether the owner is permitted to sell the property. The owner will not be permitted to sell if there are any outstanding dues with regard to property taxes. The sales contract (boleto de compra-venta) will include information such as: details of seller and buyer (name, address, nationality and identification number), address of the property in question, declaration of registration of the same at the Registrado, name and registration number of the realtor and escribano,details of the mode, place, date, currency and place where payment will be made, statement by the escribano (public notary) that there are no outstanding dues on the property, name, date and signatures of the seller and buyer. Contact a realtor with your requirements first. Once you like a place your realtor will contact the seller's realtor for negotiation (in Argentina properties are usually overpriced to allow for negotiation). While making an offer you will have to extend a security deposit. Once the offer is accepted the property is withdrawn from the market and the boleto (sales agreement) is drawn up. The sale is finalized at theescribano (public notary). You will need the services of a lawyer to help you read the fine print in the documentation involved in the process. Usually the sales contract is drawn up by a lawyer or public notary. Mortgages on properties are hard to come by in Argentina. As a foreign national you will be required to have spent at least one year working legally in Argentina. Mortgages are extended on purchase of new real estate, building homes, renovation and expansion of existing premises. Finance available is up to 80% of value not exceeding AR$ 250,000 on new estate, up to 75% on total value not exceeding AR$ 250,000 on used property and up to 100% not exceeding AR$ 50,000 for renovation and expansion. To get finance for construction purposes 65% of construction will have to be completed. Banks offer mortgages on different terms and at different rates of interest depending on requirements. Loans are generally offered for periods of 5, 8, 10, 12 and 15 years and interest rates (which move upwards very frequently) are roughly around 7.5-11% for loans up to 10 years and 9-12% for longer durations. Argentina offers a wide variety of land that expats can choose from, although they are generally grouped into two types: city land and country land. Land on the outskirts of Buenos Aires and wine growing areas command the highest price while the lowest prices prevail in the North West part of the country. If you are interested in purchasing property, there are no restrictions as buyers will find that Argentina’s property market is open when it comes to foreign ownership. It is worth noting that additional paperwork will be required for those who wish to buy Argentine land that is located close to a foreign border.